Caregiver Help Radio is dedicated to helping people find hope and humor in caring for individuals who are aging, chronically ill, disabled, or affected by Alzheimer’s and other dementia-related diseases. 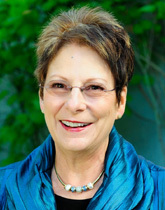 Elaine K. Sanchez is an author, speaker and co-founder of CaregiverHelp.com, an online video-based caregiver support program. Her passion for helping caregivers is based on her own experience of caring for family elders. She understands the anger, guilt, depression, and grief often associated with caregiving. She knows how hard it can be to take care of yourself when you’re caring for others. And she demonstrates over and over how humor and laughter can help you get through a long day or a sleepless night.